In this post I’ve answered the question, “Is there eBay in Brazil?” — the Brazilian site has support for international shipping to Brazil, and it’s available in English. Click here for the eBay online shopping site in Brazil! Those familiar with eBay will be happy to know that the site is perfectly suitable for shopping within Brazil and to have items shipped to the country. 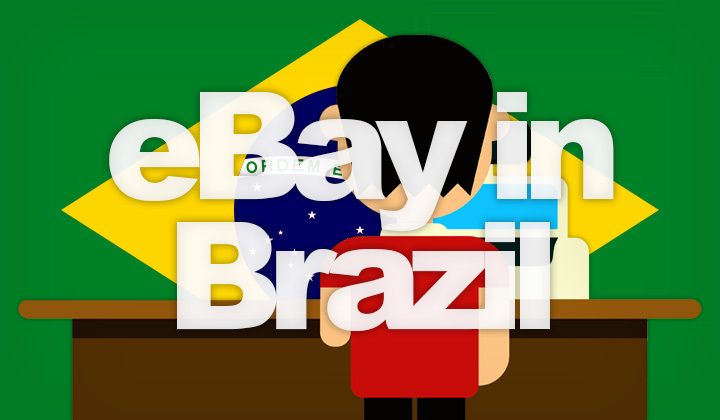 There is no localized version such as eBay.com.br, instead the main global version of the popular e-commerce marketplace is targeted towards Brazilian users. Here’s what you need to know to shop there. There are many sellers that are located in Brazil and stock there items there, for cheaper and faster shipping it’s a good idea to check them first. Step 2. Click on the “Advanced” link next to the search button. Step 3. Scroll way down to “Location” settings. Step 4. Choose “Brazil” from the list of countries. Step 5. Now your searches are narrowed down to Brazilian sellers. You also have several other location settings available, such as setting a range from your current location or a region such as Asia, North America, etc. The eBay site is most known for as a global marketplace, where you can purchase and engage in bidding for items, both new, used and refurnished from probably the most extensive range of online sellers in the world. For this you can simply use the eBay.com website normally, and it will estimate shipping costs depending on your country location. It’s also recommended to register an account first, where you can set up your address and shop internationally. Your company can also get in touch with a Brazilian consumer base, conveniently in English through the international eBay.com website. Read on their “Global Shipping Program” for more information. Undoutedly the largest and best alternative, as well as equivalent to the US version of eBay.com in Brazil is “Mercado Livre“, which is known throughout South America, mostly as MercadoLibre but the name was altered on it’s Brazilian site version. While the site is in Portuguese only and geared towards buyers in Brazil with shipping support, it also largely functions as a global marketplace, similar to eBay. You can bid for items and do your online shopping from a range of sellers from all South American countries, and rest of the world. However, the range of items is inferior to the main eBay website but sufficient for many. Those interested in looking for the best prices, might consider searching through both websites. Besides support for Portuguese language, the Mercado Livre equivalent has the added benefit of pricing shown in the local, Brazilian real currency. The company was founded in Argentina, 1999 and is currently headquartered in São Paulo, Brazil. It also closely collaborates with eBay which is a major stakeholder. Questions on eBay site in Brazil and online shopping in English? Also recommendations on equivalent Brazilian websites welcome! And a huge thanks for visiting my blog, David. Interested in supporting the website? You might be doing so already, as some of the links here are affiliated with companies like eBay and others. This means, that I can potentially benefit from your purchase after such clicks.